Ansolar gel contains avobenzone, isoamyl p-methoxycinnamate, octocrylene, tinosorb, and octyl triazone. Together, these ingredients in Ansolar gel protect the skin from the harmful effects of ultraviolet radiations of the sun. This cosmetic sunscreen gel is an SPF 30 cream, and has an UV protection factor of above eight. Ansolar gel does not cause allergies and blackheads and is resistant to water thus does not leave the skin greasy. Ansolar gel is useful for people with acne-prone and oily skin types. Ansolar gel is hypoallergenic and Non comedogenic in nature. 1. Apply generously on the exposed skin at least half an hour before exposure daily. 2. Reapply after 2 hours when exposed to sun continuously. 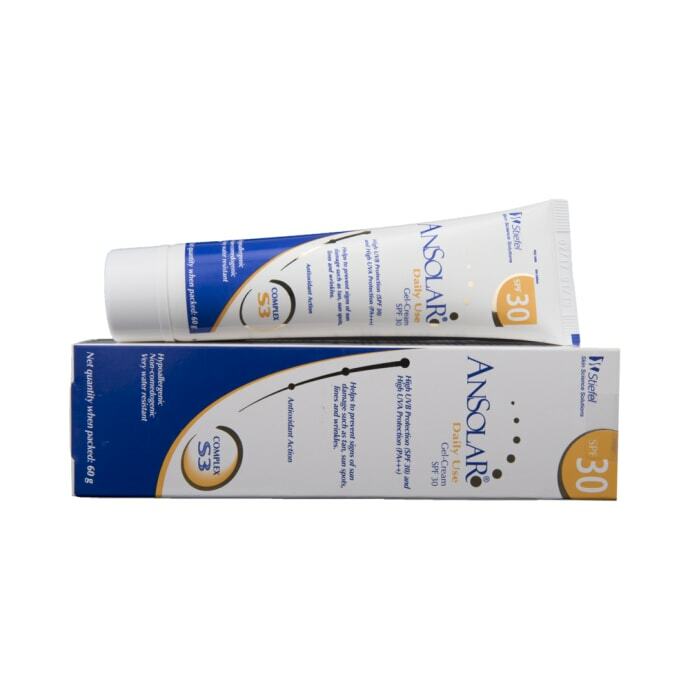 A licensed pharmacy from your nearest location will deliver Ansolar Spf 30 Gel. Once the pharmacy accepts your order, the details of the pharmacy will be shared with you. Acceptance of your order is based on the validity of your prescription and the availability of this medicine.